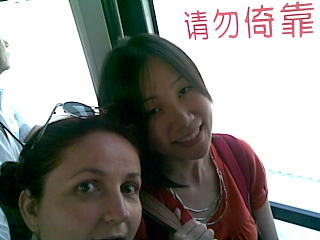 Beijing has a brand new airport but our flight was still a bus ride from the terminal! Hey, they must have copied that from the 3rd-world style of Narita airport Every shitting time I land in Nippon, the Japanese fuckwards force me to walk down stairs on crutches to their crappy bus, or wait 45 minutes for a forklift to haul me off the plane as “cargo” (that’s an automatic lawsuit in the Real World). Arrrrg! !